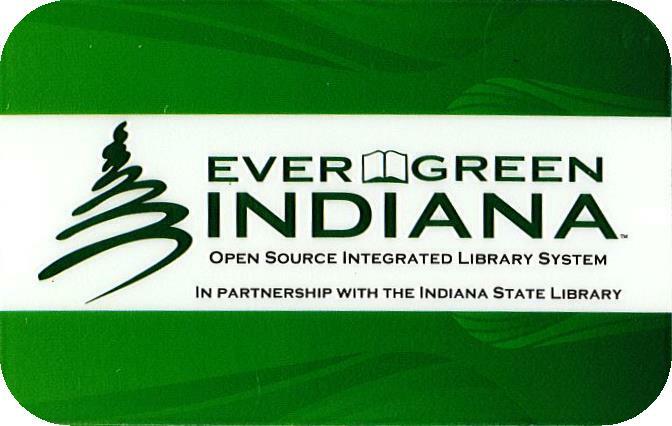 Evergreen Indiana library cards are issued to community members living within the Greenwood Public Library taxing district (click here to view a map of the GPL taxing district). Resident cards are good for two years. Cards can be renewed by showing proof of residency. The Greenwood Public Library offers non-resident cards for a fee to those living outside the Library's taxing district. This card allows non-residents the same access to services that a Greenwood city resident has by paying an amount equal to what the average person pays in property taxes to GPL each year. A non-resident card is good for one year from the date of purchase, and can be renewed by paying the yearly fee. 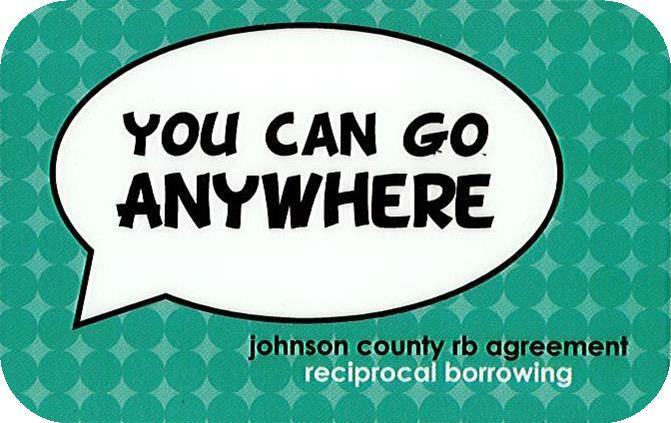 Library card holders in good standing at the Johnson County Public Library or Edinburgh Public Library can receive a free reciprocal borrowing card. Reciprocal cards are good for one year. 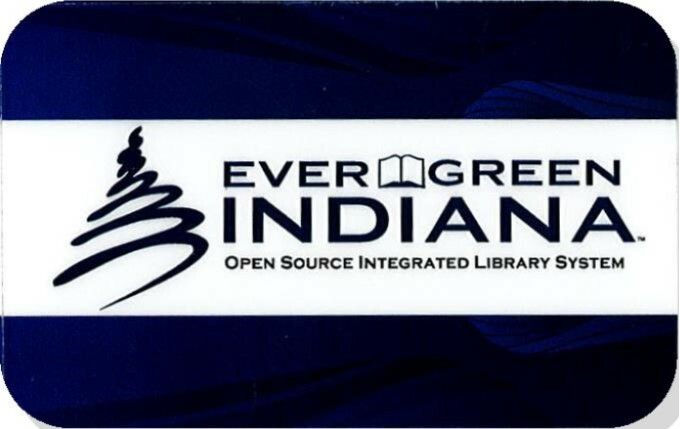 Greenwood Public Library can issue Public Library Access Cards (PLAC) that enable cardholders to use any library in Indiana. 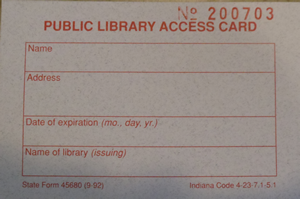 Individuals must be a resident of Indiana to purchase a PLAC card and be in good standing at their home library. The statewide fee is set annually by state law and announced by the Indiana State Library. The current cost for a PLAC card is $65 and is good for one year from the date of purchase. PLAC is Indiana's statewide public library borrowing card which allows individuals to borrow directly from any public library outside their home library district. Students and teachers who live outside the Greenwood Public Library's taxing district but attend or are employed by a school that is located in GPL's taxing district may register for a library card. Students will need to show proof of enrollment in the form of a current school ID, report card for the current academic year, the student's current class schedule, etc. School teachers who are employed at a school within GPL's library taxing district will need to present a current faculty ID, a recent check stub, current class schedule with their name listed, etc in order to register for a card. Student/teacher cards expire at the end of each academic year, but may be renewed the following year with proper proof of enrollment/employment.